January | 2013 | Every good thing…. I have a one day weekend coming up. I have hopes of getting the last of my big projects resolved. 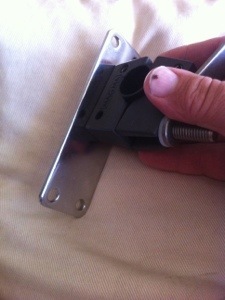 Trim inner transom to stop the outboard from rubbing. If I get half of these items done I will call it a win. 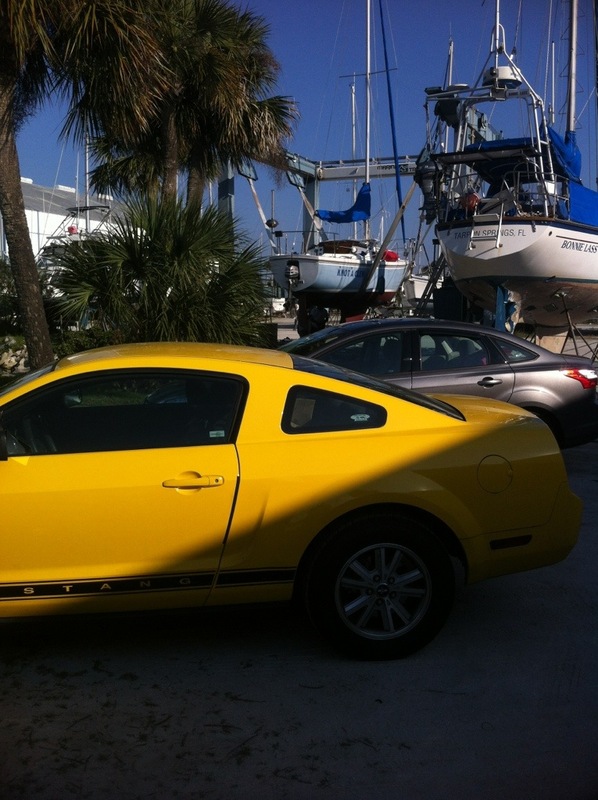 After this my hopes are to start sailing more than working when on the boat. 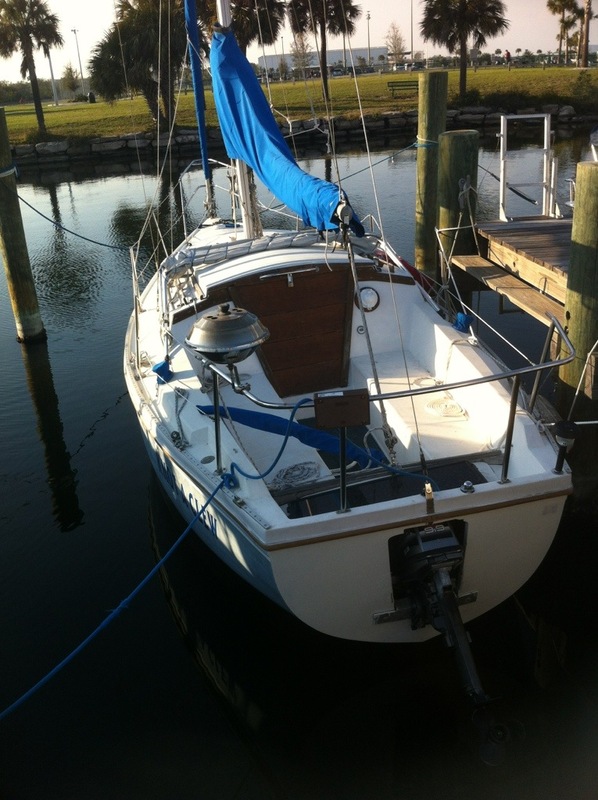 We need to get some time under sail before our big trip in April. Solar panel brackets, screwing that teak? I am attaching a 15watt (1.25amp) solar panel to charge the batteries. I have the parts but am deciding how to assemble them. The question is do I drill small pilot holes and use pan head screws and washers or do I drill larger holes all the way thru and nylock nuts and bolts with washers? What is more of a concern? Water intrusion from the top of the wood due to the nut or wood shrinkage due to age causing the screws just to fall out? Update: After asking around on some forums I have decided to go the nut and bolt route. 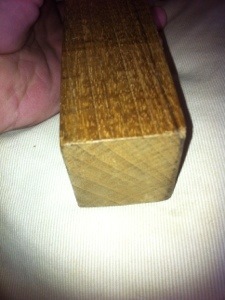 Ordered a jig to enable drilling square holes. I am looking forward to mounting the panel as it tends to be in the way just laying in the cockpit. Here is a photo of the factory original thru hull with a newer valve. The factory valve was a gate like your average hose tap at home. 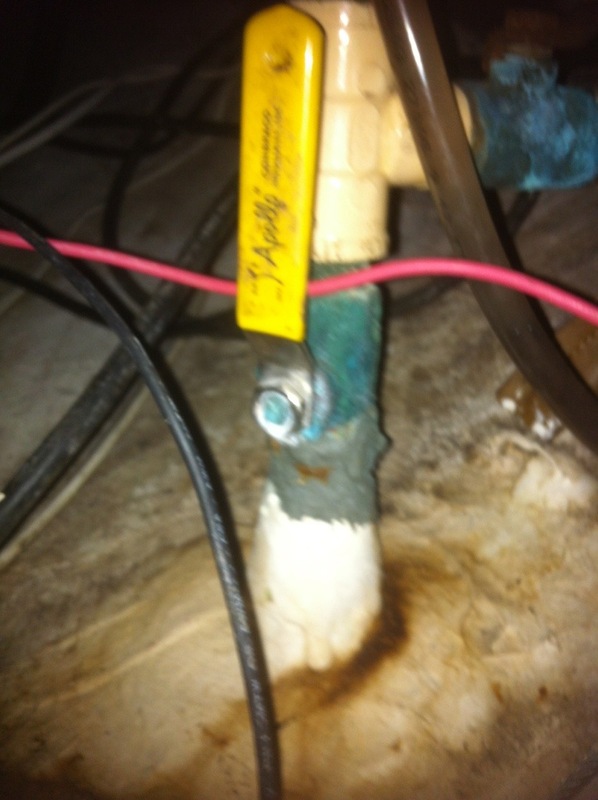 You can see the discoloration at the junction below the valve. That is our buddy, corrosion. We have our boat back. 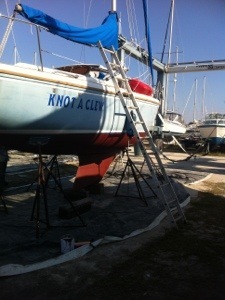 Today we put the “Clew” back in the water. She has been on stands for over a week at Westland Marine. We had her bottom cleaned and painted red as well as had the yard mechanic replace the 38 year old thru hull bellow the galley sink. Turns out we were correct about the fragile nature of the galley plumbing. 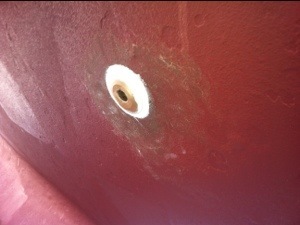 The mechanic stated that the material at the top of the original thru hull crumbled when he tried to loosen the fitting. Money well spent if it helps us avoid finding the boat at the bottom of the slip under 3 feet of water. Tomorrow is the big day. 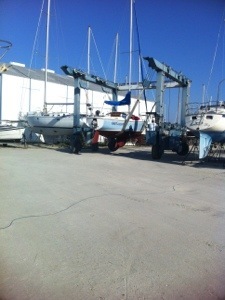 We will be getting the Clew dropped back in the water after a week on stands getting a bottom job. 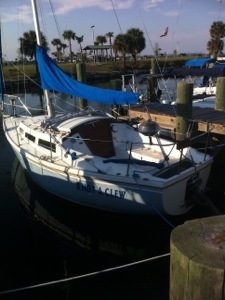 Had her bottom painted red and a thru hull fitting replaced. The Clew just pulled out of the water.